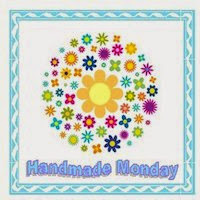 Let your child be the Green Hero of the school with a fun recycled lunch bag! 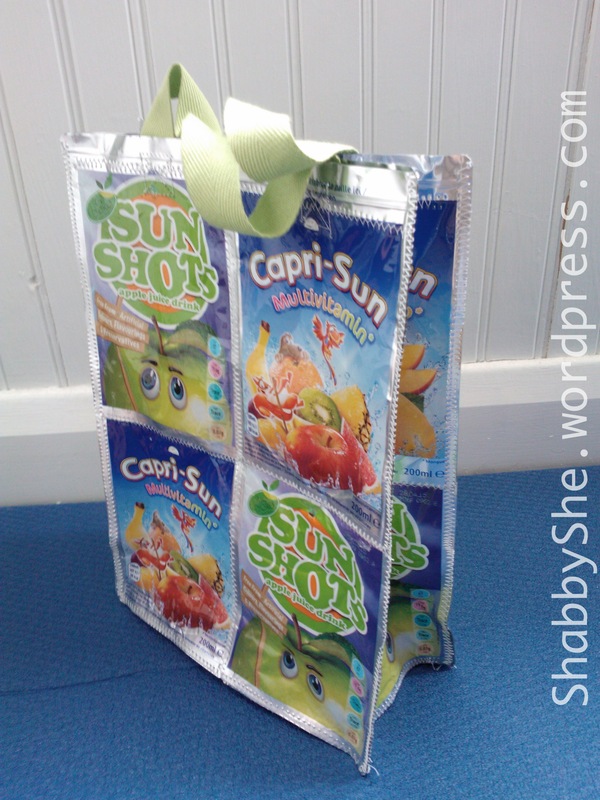 This is a quick and easy upcycle that older children can get involved in making for themselves: a lunch bag made from repurposed foil juice pouches of the likes of Capri Sun. First things first: get your children sugared up to the eyeballs by drinking their way through 14 Capri Suns or similar juice pouch drinks! This is obviously best done over a period of time rather than all in one go or they won’t be able to concentrate at the sewing machine very well 😉 For our lunch bag, we had managed to acquire 12 pouches and then as luck would have it we met up with friends and they were drinking Capri Sun from France (how exotic!) so we added their two pouches to the mix! The pouches need to be slit open so they can be cleaned out thoroughly with hot soapy water and left to drain dry. I have to fess up to a slight bodge here à la ShabbyShe – I slit mine at the top (above the straw hole) instead of underneath (in the hidden pouchy part) where it would never be seen! As a consequence I had to be careful to overlap my stitching to close the opening I had made. As you can see from the pictures, I started by sewing 2 pouches together (top to bottom) and making sure I overlapped them just enough to close the (incorrectly applied!) slit at the top. To these 2 pouches I added 2 more to make a front panel of 4 pouches, then did the same for the reverse of the bag. Lining up was easy as the straight lines are all there for you, and even though I used 2 different brands of juice they were a standard size. 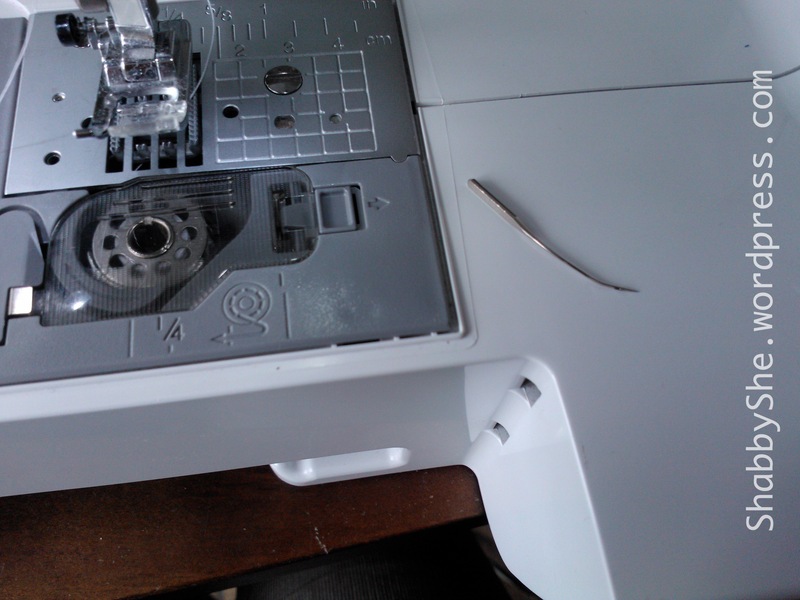 Disaster strikes – a squiffy needle! New needle in place, I soldiered on! This is how it looks inside before the final side stitching is done. 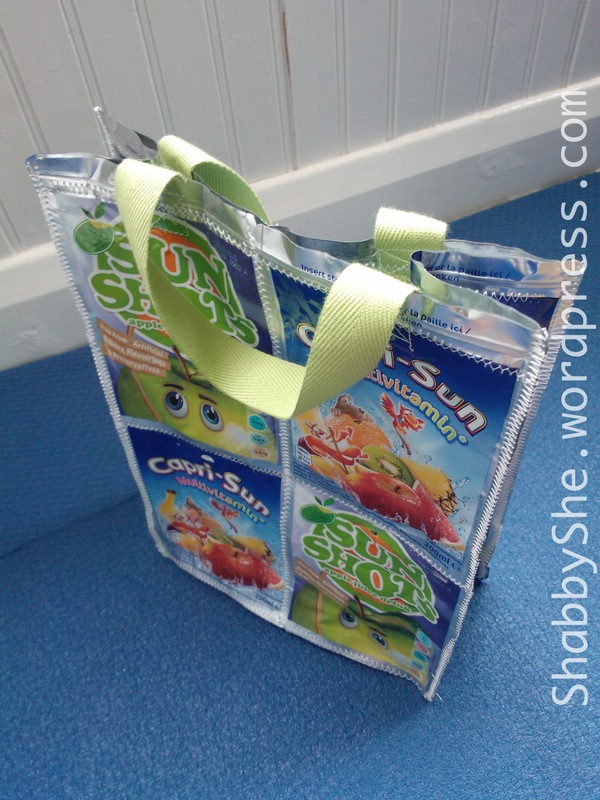 I have to say here that I doubted my methods briefly looking at other people’s bags online – they all seem to have plain silver inside and I wondered whether you are supposed to cut the juice bags open and remove the backs. 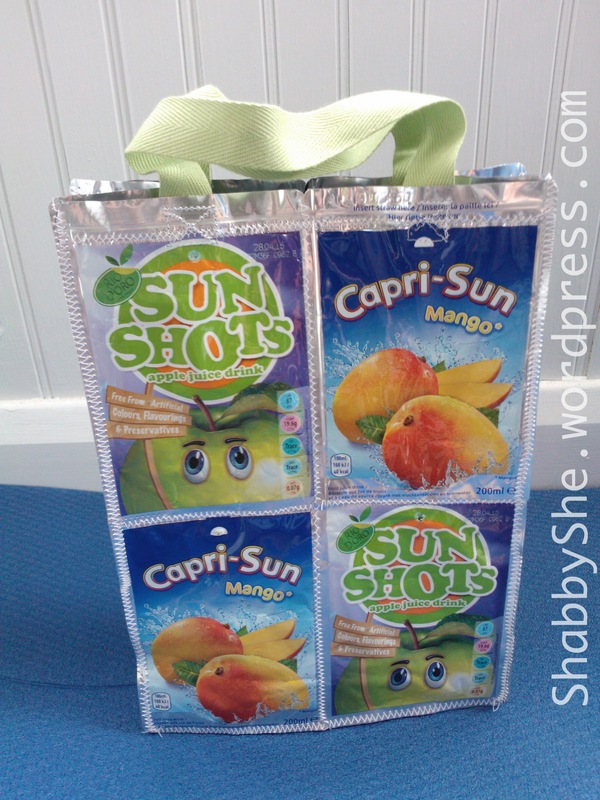 But I decided that maybe American Capri Sun pouches don’t have all this stuff on the back. 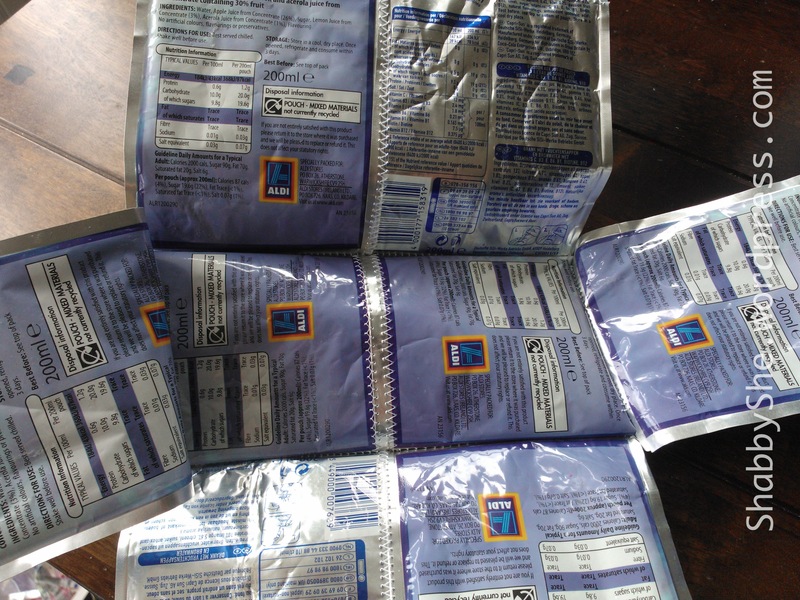 The ones pictured here are from Aldi mostly, as you can see. So that’s it, it’s so easy and fun! 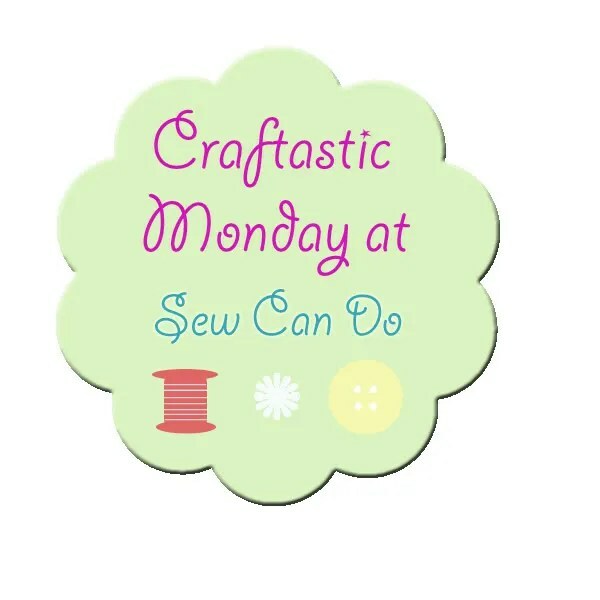 The hardest part is getting enough pouches for lunch bags for everyone, although the kids do enjoy that part!! They didn’t help with the construction for this project but I’m sure in a year or so my eldest could. I might get him to wear goggles though, in case of needle-breakage! 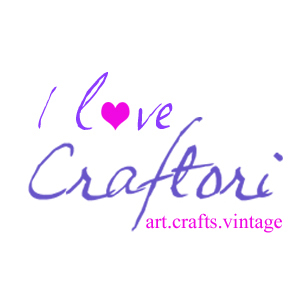 My lovely upcycled lunch bag! 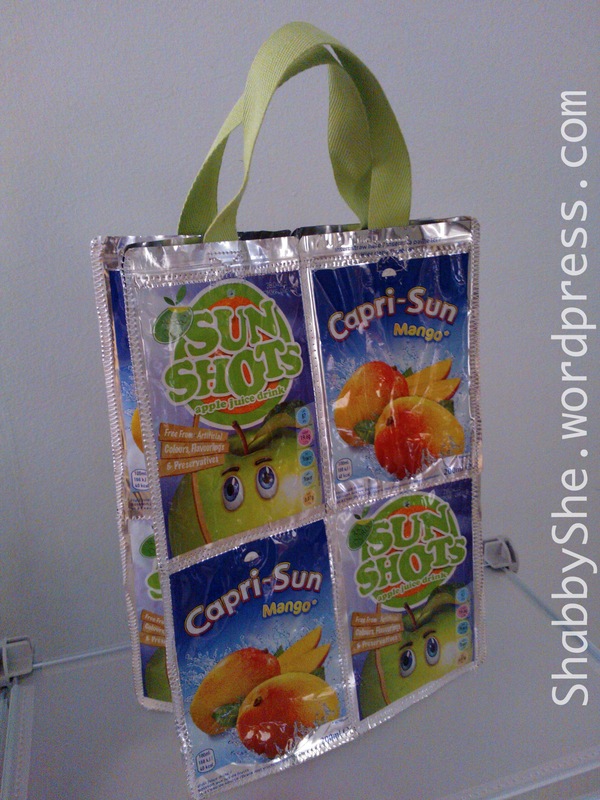 What a great way to recycle juice containers, Vicky.